© Before They Were Famous by David Drebin, published by teNeues, www.teneues.com, Photographing Herself, 2009, Photo © 2019 David Drebin. All rights reserved. In Before They Were Famous, multidisciplinary artist David Drebin gathers his best shots of world-famous celebrities, before they hit the big time—whether Charlize Theron before her Oscar win or Steve Jobs before the first iPod. Limited to 1,200 copies, the book is a delightful and fascinating collection of pre-digital era Polaroids, contact sheets, and many of Drebin’s most famous images before they were sold out—Central Park, Girl in the Red Dress, or I love you with Girl. We see famous faces every day: campaign shoots, pro­motional pictures, and paparazzi photos plaster the pages of print and digital media. But how did these well­ known personalities present in front of the camera before they made it big, becoming the highly­recognized celebrities of today? In Before They Were Famous, David Drebin has rummaged through his archive to curate some of his best pictures of today’s most familiar faces. Whether Charlize Theron before her Oscar win, John Legend before he stormed the charts, or Steve Jobs just before the intro­duction of the legendary first iPod, David Drebin photo­graphed them all on their path to fame. With this captivating line up, the New York City­based mul­tidisciplinary artist not only offers an intimate and original look at now world­famous celebrities, but also shares his own career beginnings presenting images before they were sold out. These limited edition photographs were all created before Drebin, too, became famous, providing a unique and rare document of his own creative journey. Alongside the portraits, the book also shows original works, from femmes fatales to landscapes, which would come to define his practice and are today sold as limited edition photographs in the finest galleries worldwide. David Drebin, a graduate of Parsons School of Design, began his career in commercial photography and then quickly made a name for himself advancing into the world of contemporary fine art. Over the years, his filmic signa-ture has evolved into other art forms, including neon light installations and the revolutionary “photo sculpture.” With his work collected worldwide, Drebin is represented in-ternationally by some of the finest art galleries. His work has been shown in multiple exhibitions over the last dec-ade and has been featured at many of the most presti-gious art fairs. 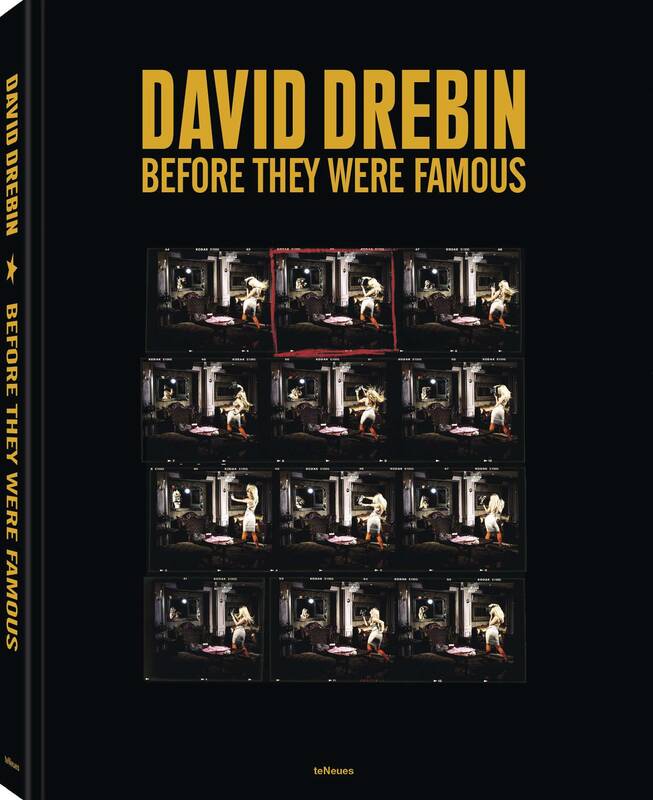 Before They Were Famous is his sixth book with teNeues.